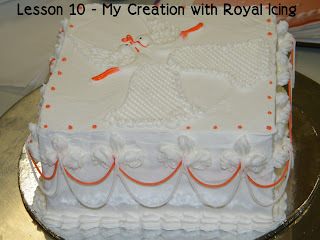 It seems that "Royal Icings" are most versatile, easiest and one of the better ingredients to be used in cake decoration. It's not difficult to get the ingredients - egg whites, icing sugar & lemon, and it's not expensive. This week's decoration was based on Royal Icings again. For lesson 10 (so fast?? 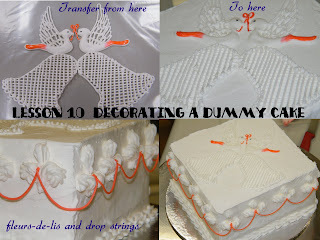 ), we did masking on dummy cake (made of styrofoam), and did some pipings on the dummy cake. I put my beautiful dove from last week, on the masked "cake". 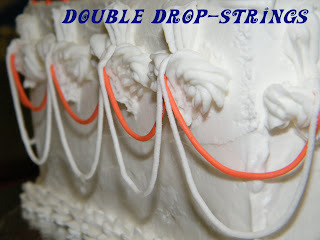 Then piped some fleurs-de-lis and double drop-strings at the sides, using Royal Icing. My other coursemates were also enjoying what they were doing, and all showing their creativity! 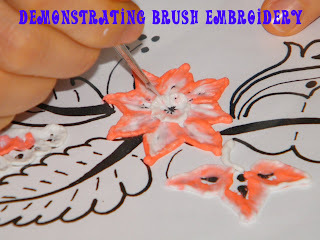 Amy did a brush embroidery to show her. Her works are really very fine and nice. Not forgeting, she fed us with some baguettes too! She really spoilt us by feeding us all these time! 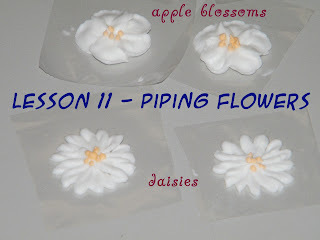 The following lesson was on piping flowers using piping nails. 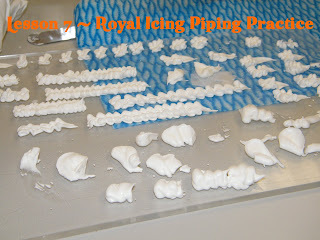 The initial look at the demonstration seems easy, but the actual piping was really challenging. Many of us needed her personal demonstration and attention to get the flowers right. It wasn't easy to achieve the real look. Fortunately, we managed to do that by the end of the lesson. 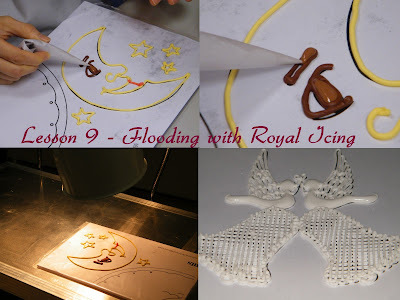 Looks like Royal Icing is here to stay for the next few lessons! 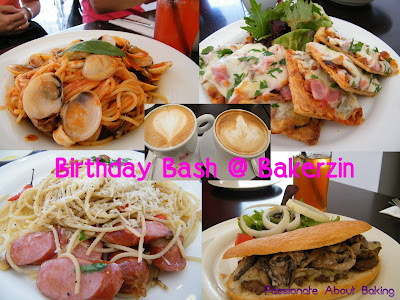 Oh yes, I'm just looking forward to the Food Bloggers Potluck Party tomorrow! Finally it's here! I had previously wanted to make choux pastry, but have been putting them off. Still in my mind about making choux, I finally got to bake it today. 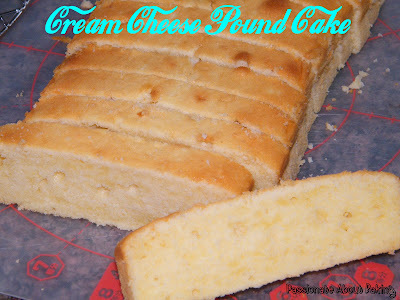 Before I rattled on with my choux pastry, I did a cream cheese pound cake from Litte Corner of Mine. It was supposed to be "awesomely delicious" but mine turned out "awesomely awful"! *Sigh* I still need to practice more on such simple & classic cakes. It's weird how sometimes I can bake nice beautiful cheesecake, but can't bake a pound cake well. I must be very lucky in my previous bake then! :> I suspected it was because I creamed the butter too long, resulting in some parts of the cake "unbaked". 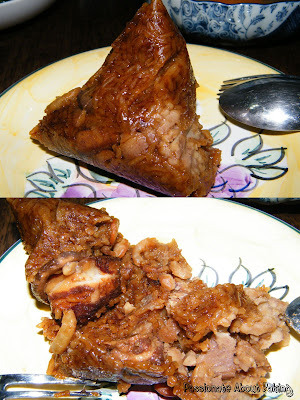 I had meat dumpling for dinner last night. It was made by my auntie. I'm a lover of dumplings, especially my mum's! However, my mum has stopped making dumplings since my grandmother passed away. So now, no more mum's dumplings. My auntie's dumpling is somewhere close to hers, and it's nice. I'll have to pay for it outside should I craved for one then! 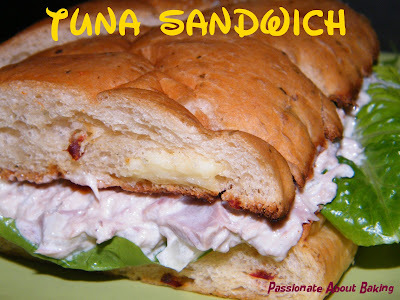 Tonight, I prepared tuna sandwich with Gardenia Foccacia. I toasted the Foccacia with cheese slice, added romaine lettuce, cherry tomatoes, then topped with tuna with mayo. Yummy! But my twins DIDN'T like them! *faint* My eldest was opposite. He have two servings! *Haiz* Difficult to please all... I just have to please myself and eat them can already! What a mother I am!! Back to my choux. 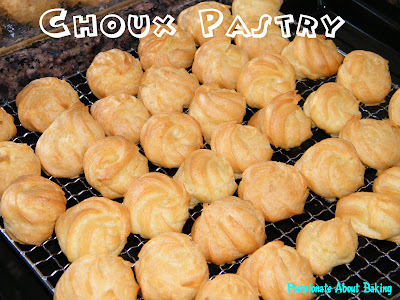 I used the recipe from Alex Goh's "Irresistable Pastry" and found that the choux pastry was dense inside. I prefer them to be lighter inside. But I didn't bother to scrap them out. I prefer Aunt Yochana's recipe compared to this. 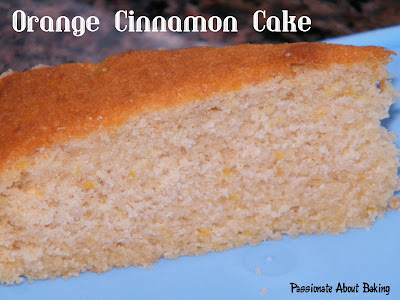 I filled the insides with cream cheese, mixed with butter, icing sugar and orange zest. The cream cheese frosting was a recipe by Anna. 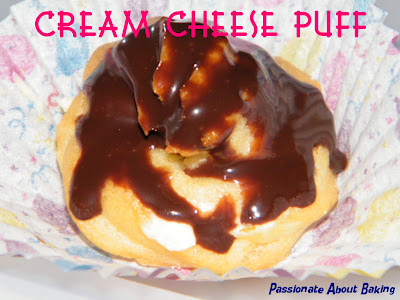 Equal amount of cream cheese with butter, add 75% of icing sugar. I added orange zest to make it more refreshing. But realised can't really taste it. Then topped them with chocolate ganache. My children loved the fillings very much. And I think it goes very well with the chocolate. 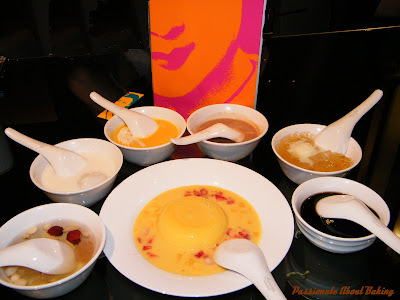 Of course, the fillings cannot be too much as there is butter taste in it, unlike whipping creams. The bbq on Saturday was partially to celebrate my brother-in-law's birthday and also to have some bbq fun. The stuff that they bought for bbq are pretty good - lamb chops, satay, chicken wings, sotong balls, sausages and MARSHMALLOWS! How can we have bbq without marshmallows? That was actually requested by my daughter. Anyway, my brother-in-law requested for cheesecake for his birthday. He is a cheesecake person. Last year, I baked him a New York Cheesecake. This year, he asked me to surprise him. I went surf through the web, looking for "exotic" or "special" cheesecakes, but just don't know what is suitable. 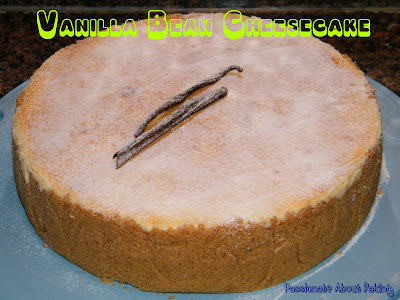 Finally, I found a very special cheesecake recipe - Vanilla Bean Cheesecake. 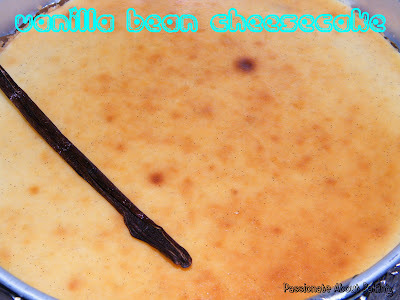 It looks simple enough to follow and special enough to make as it has real vanilla seeds. However, instead of baking the sponge cake from the recipe by Mandy, I use the usual biscuits crumbs. As I crushed more crumbs, I decided to have the crumbs at the sides too. It turns out, the cheesecake was really really nice. 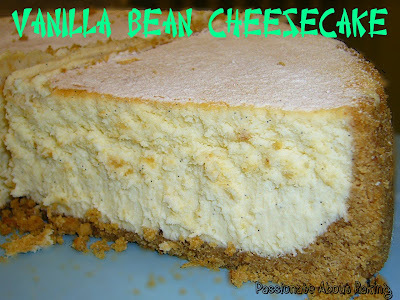 Not too sweet, as I cut down the sugar, a mild vanilla taste, not too cheesy, and the biscuit crumbs lighten the cheese taste. Everyone said it was really really nice and special. I'm glad I made the right choice...again! It's cheesy cheese again. 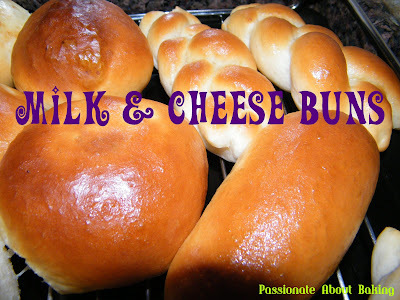 I was wondering what I should make on Saturday to bring over for my family. As we are having a bbq at my youngest sister's house, many food were already prepared for by us separately. 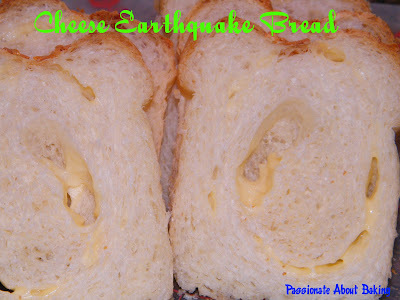 Since I have some time to spare in the morning, I decided to make my cheese earthquake bread as I felt like having them. Luckily I left it to proof for a long long time (almost 2 hours) after I had wrapped them up with cheese. 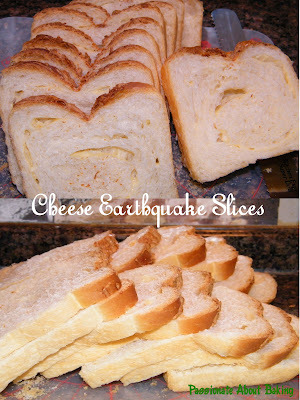 Previously, I didn't proof so long, so the bread was rather tough. This time, I left it to proof while I went out to buy some food stuff. It turned out to be soft and much nicer! I made three loaves - one for myself, one to be shared by my sisters and parents, and the other mini loaf for my auntie. 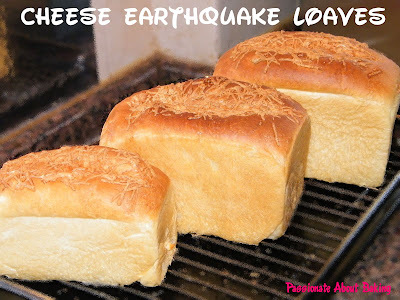 I'm happy with the "over-proof" bread loaves. I realised I really have been lapsing in my posts! 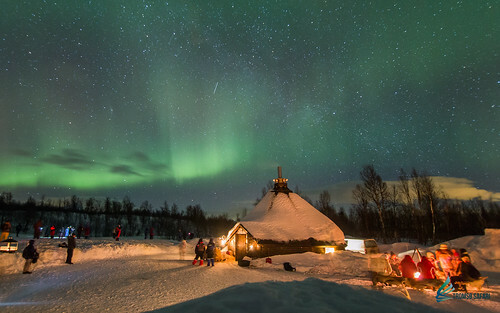 There were just so many activities going on, and so many things to blog. But so little time to do the "edits" and the postings! 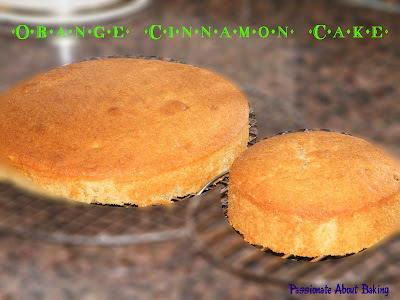 I made two orange cinnamon cakes-one for my father-in-law and another for my colleague's birthday. 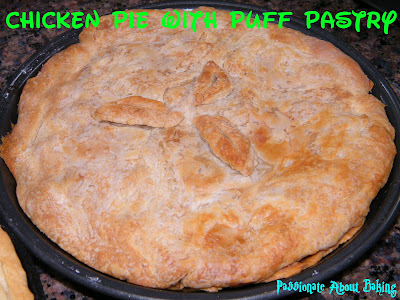 The recipe was from Anna's class last week. I simply love this cake. I did without the cream cheese frostings. For my colleague, I put it in a box as a gift. Though the picture looked like it's drawn by a kindergarten child, I thought it was the thought that counts! Hahaha... Looks like I really need a drawing lesson. 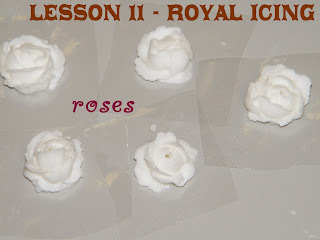 The last two lessons were on piping of royal icings. The stiff consistency required your "bull" strength. Whatever you have taken for dinner, were "purged" out piping the laces using the stiff royal icing consistency. Fortunately, Amy (our instructor) was really very nice. She asked if we wanted some chiffon cakes, left over from the advance cake module classes, and we said yes as we need more strength. She brought over three chiffons for us-Orange, Pandan and Chocolate. We liked the chiffons, and for me, Pandan Chiffon as I was thinking about it just a couple of days ago! Hahaha...what a coincidence! 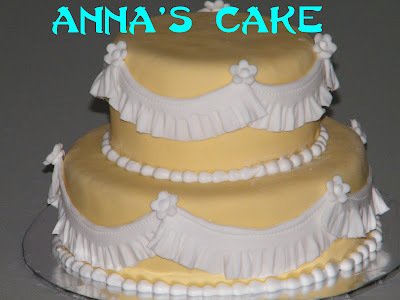 Early last month, I was convinced by loving baking about Anna's workshops. 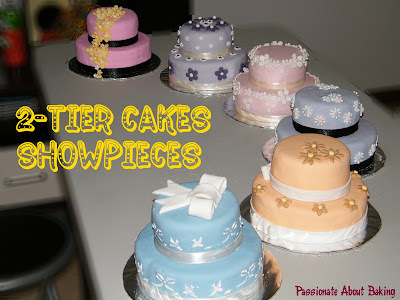 So I decided to sign up for Anna's Simple 2-Tier Cakes Workshop on 17 May. I was happy when my registration was confirmed and paid. 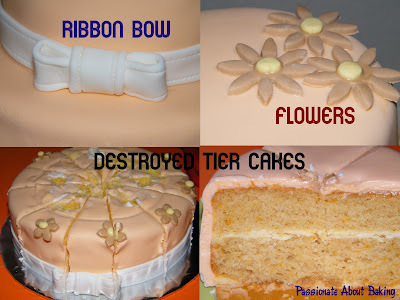 However, I realised that my BITC cake decoration course was also to commence in end April. Suddenly, I felt a tint of regrets to sign up for Anna's workshop. I was also thinking of getting a replacement for the course. As the day drew nearer to the workshop, I thought to myself then that I might was well go and enjoyed it since what I've learned from BITC so far, is nothing close to what I'll be doing at Anna's. In fact, I was starting to look forward to this workshop. The day came...And I also met loving baking-You Fei in person. 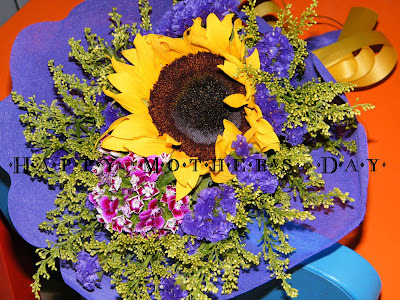 In fact, I reserved this day because I also wanted to meet her since I knew she was going for this same workshop. Very much like what You Fei has said, Anna's class is small, a lot of hands-on and very personalised! This is the kind of classes I really like to attend. 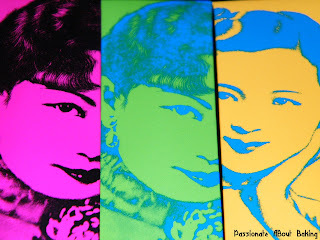 In fact, I envy Anna and admired her passion too. She experiment with recipes and created them. She learnt the "hard way", but is very willing to share. We went through from the basic of baking a cake, to torting it, frosting it and using fondant to cover it and beautify them. As we were really busy doing all those steps, I didn't have the luxury of time to take pictures in between. I wish I did. Her recipe pack was also very detailed, with pictures and step by step. Not to mention also that her elder boy was also "half-entertaining" us. He was just too adorable to be ignored! The workshop lasted a whole five hours. 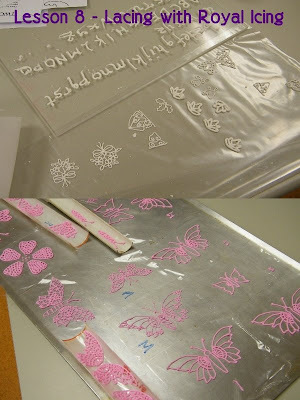 She showed us all the possible designs or props that we can use on our fondant cake. 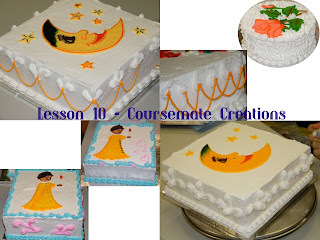 With her detail teaching, coaching and instructions, all of us came out with rather beautifully designed cakes! I'm very satisfied and happy with my own creation. Unfortunately or fortunately, she has temporarily stop her workshops as she will be delivering to her second prince in July. I wish you all the best Anna! Thank you for your generous sharings! Since some years back, we had a "ritual" that four of us sisters, meet once a year minimum to have meals together. We'll take turns to pay. It started from my elder sister some years back, where she bought us dinner at Lingzhi in Far East Square. Followed by myself for dinner on 13 Mar 2006 in Basil Alcove. 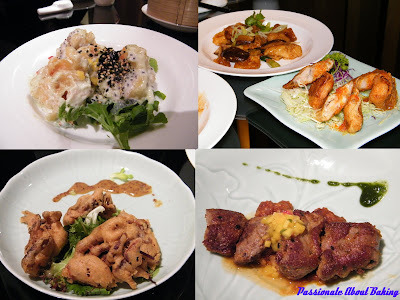 Third sister bought us lunch in one of the Japanese restaurant after a free seminar in California Fitness in Bugis. The lunch from my youngest sister, which was last Saturday was a long wait! Hahaha... We have been arranging and re-arranging since end of last year and finally, we get to have it. Life is so interesting. When we were kids, the three of us (except my youngest sister) were not very close. We used to fight, quarrelled and disliked one another. As my youngest sister's age gap was slightly wider than us (five years while the rest of us was one to two years difference), she was not "entangled" in our fights. Lucky her! However, as we grow older, we become more mature and more accomodating and more forgiving. Somehow, we become closer. We'll just email one another weekly to update one another, or to arrange some dinners or functions. We will make it a point to go to my mum's place every Saturday. I'm very blessed to have the support of my sisters and my family members in whatever things I do. I'm contented with this. After lunch last Saturday, we went back to my elder sister's house to prepare for dinner, for our family members. She made roasted chicken and roasted vegetables. I had earlier baked some chicken pies to be brought over by my family for dinner as she was afraid the roasted chicken might not be enough to go round the hungry adults! The roasted chicken was really good. I'll try to bake it one of these days. 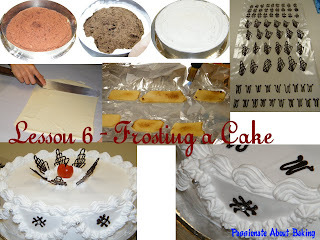 Lesson 6 was all about frosting on a REAL chocolate cake. 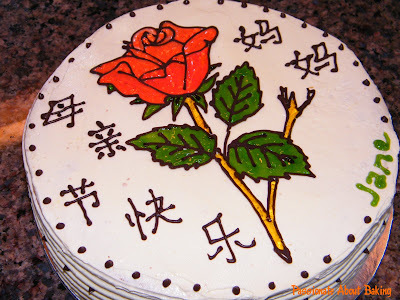 I prefer to frost on a real cake, than to just practice on arylic boards. :p Even though practicing on arylic boards can do and re-do, I'd rather not to. We used whipped cream to frost our 8" cake. The amount of whipped cream used in the frosting was really "scary"! All these are just for decorating purposes, I don't think anyone will eat all those creams! My instructor used the blow torch to burn the marzipan slightly so that it will harden and so, easier to keep and used for piping words. 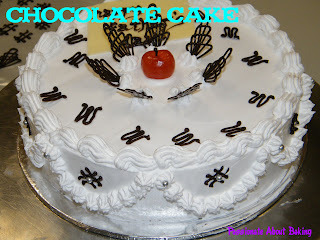 Another alternative to using marzipan for wordings is the white chocolate. Most bakeries are already using white chocolates. 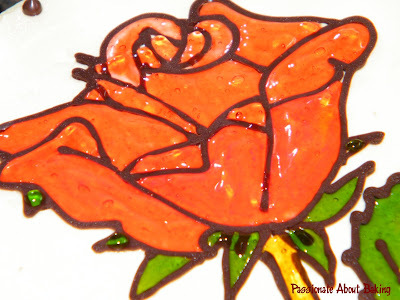 Lesson 7 was on royal icing piping. 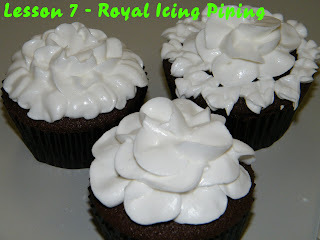 I've not tried piping using royal icing before. The consistency has to be soft. It's not easy to achieve this kind of consistency, and between soft and medium, medium and firm, are just so "subjective"! Haven't master the skill to differentiate this yet! :p We did the piping on cupcakes, quite fun though. 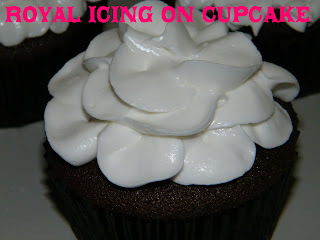 But don't expect anyone to eat the royal icings!! 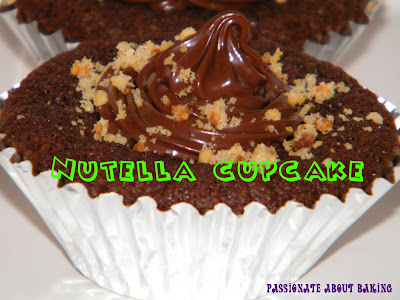 This is the fourth and last of the recipe from Joycelyn's Ultimate Chocolate Treats II recipe pack. What I've tried for the past few recipes are just the basic recipes. I've not even tried her variations on those recipes. If to include the variations, then that'll be at least another 10 more recipe to go! Her recipe is really good. 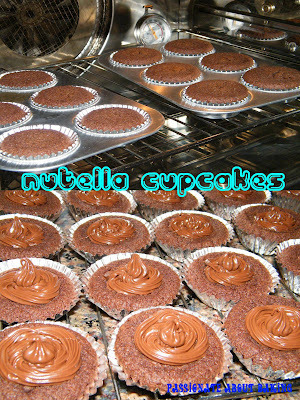 I finally attempt on the Nutella Cupcakes successfully. 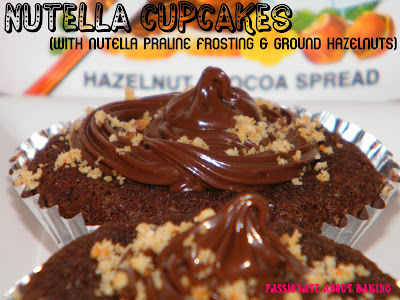 Back to the Nutella cupcakes, my sister bought two tubs of 750g Nutella for me when I told her I want to make Nutella cupcakes for her. That was really sweet of her. So since she has bought for me, there is no further excuse not to make for her right? 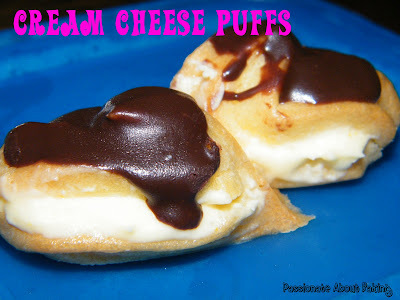 These were what I have made based on the original recipe. The frosting was not meant to cover the whole cupcake, just the centre part only. I did exactly what was in the recipe. It did turned out very good. Unfortunately, I am unable to share the recipe here. I'm a big fan of swiss rolls. Give me any flavour, and I'll gladly finished up one. 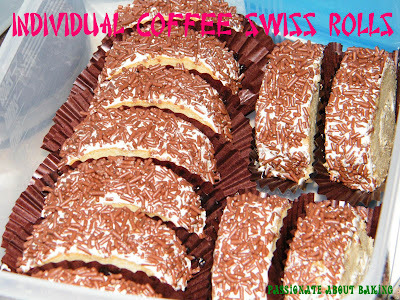 I used to like to eat swiss rolls by slowly taking one end out and munch them till the other end. Just like eating "Nine storey kueh". They seemed to taste better and nicer this way, isn't it? I just realised the last time I made a swiss rolls was in early Feb! That was three months back! I thought I would make them more often than that. The challenge in making a swiss rolls is rolling it "tearfree", "messfree" and beautifully. My swiss rolls are rather unsightly most of the time. Since I was supposed to have a meeting on Wednesday, I decided to bake some swiss rolls and bring it to the meeting. I was hesitating between a strawberry roll or a coffee roll. 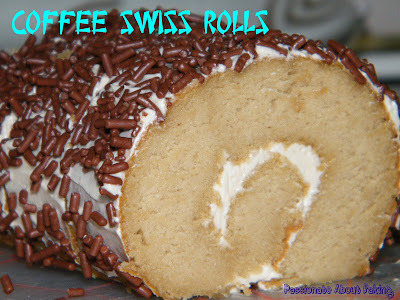 Finally, the decision was, coffee roll using buttercream. After I managed to roll them up, there was another decision point, to coat with chocolate or not. Then again, with some coffee buttercream left, I decided to use them all up, so that means, to coat them with chocolate rice. 1. Mix (A) till well blended, then (B) and whip till thickened. 2. Add (C) and continue to whip till light and fluffy. 3. Fold in (D) and mix till well blended. 4. 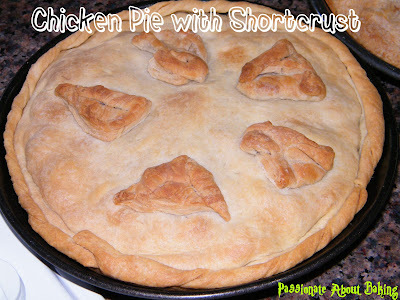 Pour it into a 14" x 18" lined sheet pan. 5. Bake at 190C (or 170C Fan Oven) on the middle rack for 13 minutes. 6. After baking, remove it immediately from the mould. Leave to cool. Like I mentioned, I really don't know how much buttercream and coffee extract I have used. So rather than to give an estimate that might not really be accurate, you might want to use your quantity based on your preference. I don't fancy a lot of creams, so I don't use a lot. Just enough to blend with the cake taste. Call me cheapskate, or cheap-po. 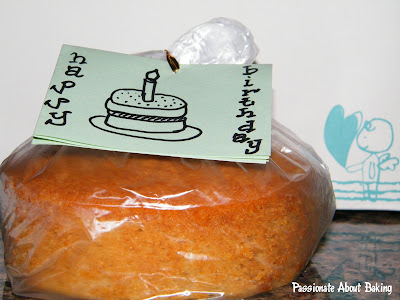 I used the cake that we made in class for lesson, to give it to my MIL for MD's. 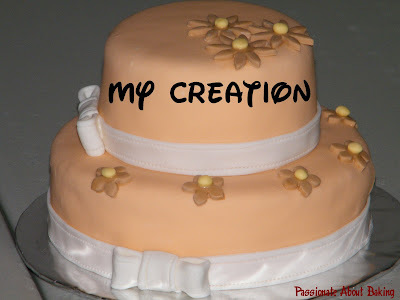 Rather than to waste the cake, I might as well add some words and share with my in laws. The one which I made from the workshop, I brought it to the dinner with my parents, share with my siblings. Might as well right? 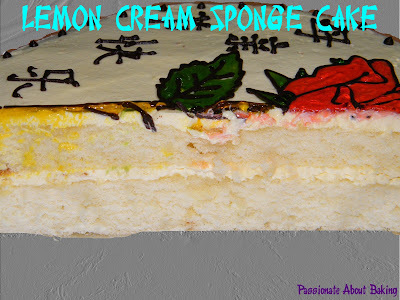 The lemon cream which my instructor made for us to do the frosting was really zesty, but a bit on the sweet side. Nevertheless, the cake was very soft and fluffy. It tasted better than the chocolate one from the workshop. It saved me time and effort to make two cakes for them. 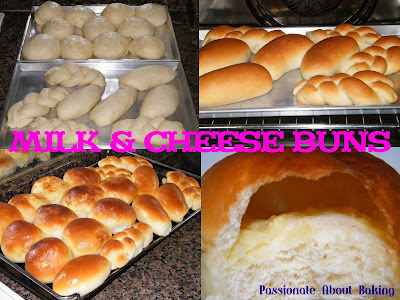 I wanted something simple to bake (as usual) and found a recipe for milk buns, meant for bread machine. I decided to try it the normal bread making way. I wrapped half up with some cheese I have in the fridge. For the first time, I didn't give them an egg wash before I baked as I didn't want to "burnt" them. Instead, after baking, I brushed the top with butter while it was still hot to give them a shiny look. I managed to knead them by hand, and I'm happy with the softness it created.